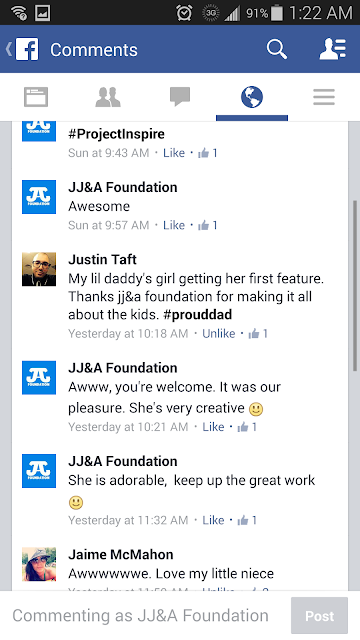 Home / #Luvaholic / JJ&A FOUNDATION LOVE!! Ok, my luvs! This truly touched my heart that I had to share. 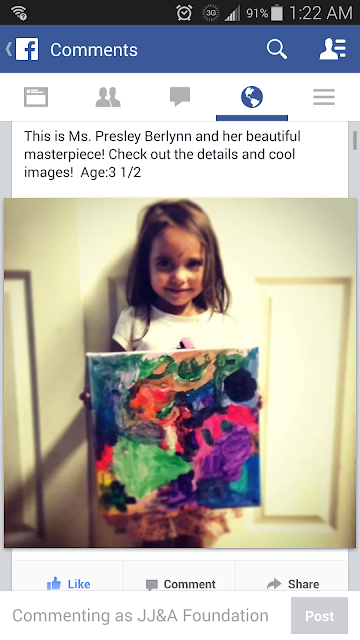 So, this gentleman emailed jjafoundation3@gmail.com with the picture of his daughter with her masterpiece. I posted it on the JJ&A Foundation fb page. He left the first comment. Then left a second one. Please take a second to read them. Parents like him really encourage me to pursue the non-profit for children badly. It made my heart smile and I've teared up for the last 5 minutes. There are parents that still care just as much as I do! 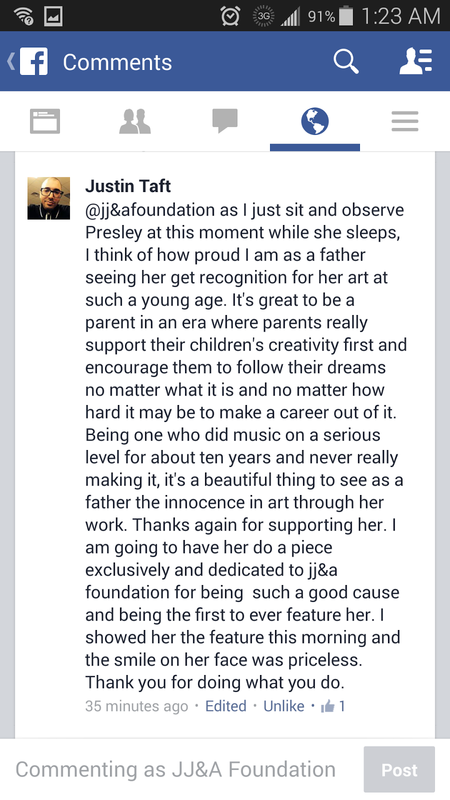 Thanks again, Mr. Taft!